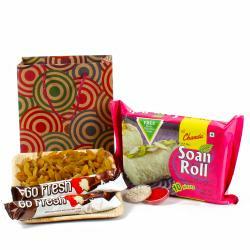 Product Consists : Butterscotch Flavour Soan Papdi (Weight : 200 gms) along with 2 pcs of Designer Metal Diya with Tealight Candles and Gold Coin Chocolate (Weight : 112 gms) in Treasure Box with Pack of Roli Chawal all this nicely packed in a Paper Gift Bag. 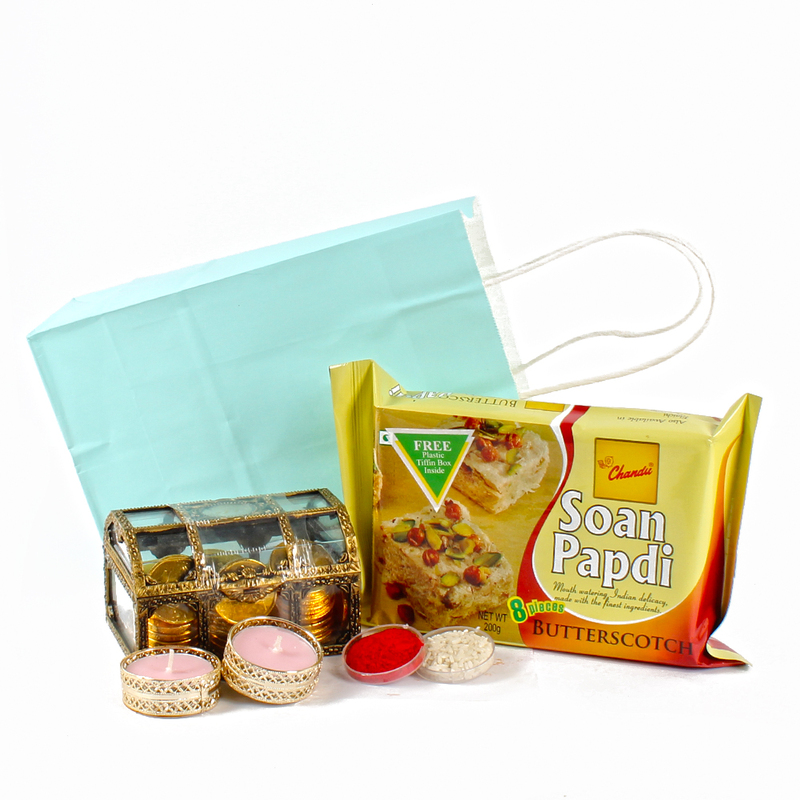 Check out this delightful Bhai Dooj gift hamper from Giftacrossindia.com consisting pair of wax diya along with goldcoin shape chocolates in box and a Bhai Dooj Tikka. 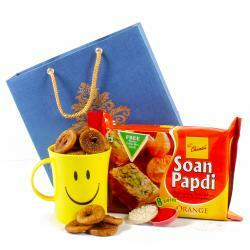 A sweet like Soan Papdi that used to be cherished and savored by all Indians initially, is everyones favorite. 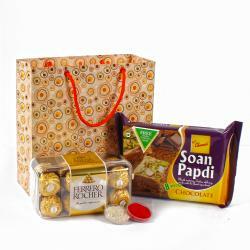 Order for this irresistible gift hamper now. 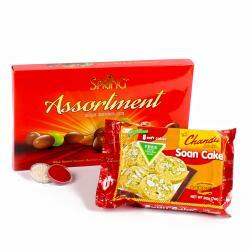 Product contains : Delicious Butterscotch Flavour Soan Papdi (Weight : 200 gms) along with 2 pcs of Designer Metal Diya with Tealight Candles and Gold Coin Chocolate (Weight : 112 gms) in Treasure Box with Pack of Roli Chawal all this nicely packed in a Paper Gift Bag.